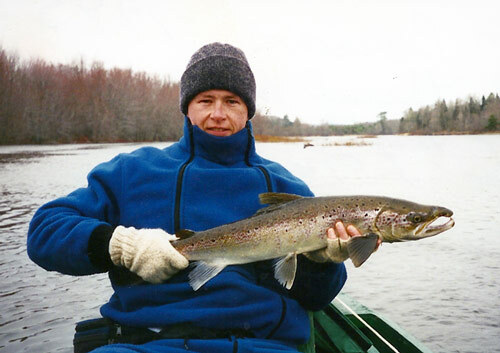 The Miramichi River is famous for fishing. 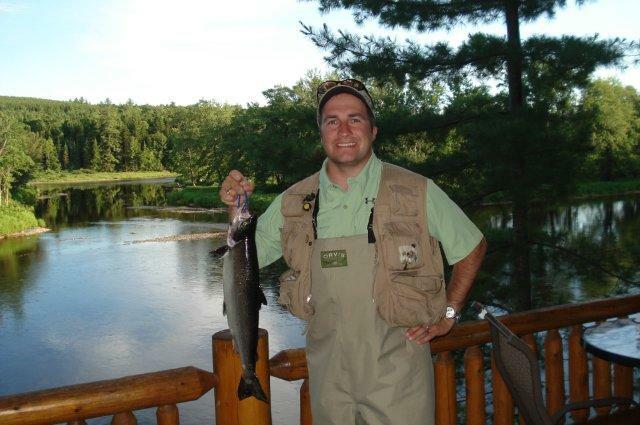 Whether you are an experienced fisher or you are new to the sport you’ll be sure to enjoy your stay at Betts Lodge. 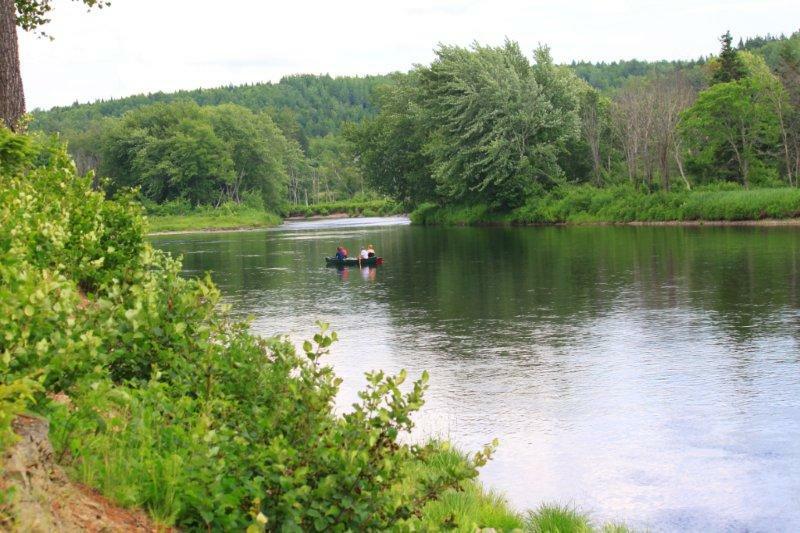 We’re set right on the bank of the Southwest Miramichi River – so close that from the deck of the Brook Cabin you can see the salmon jumping. Bring your own equipment and accessories! 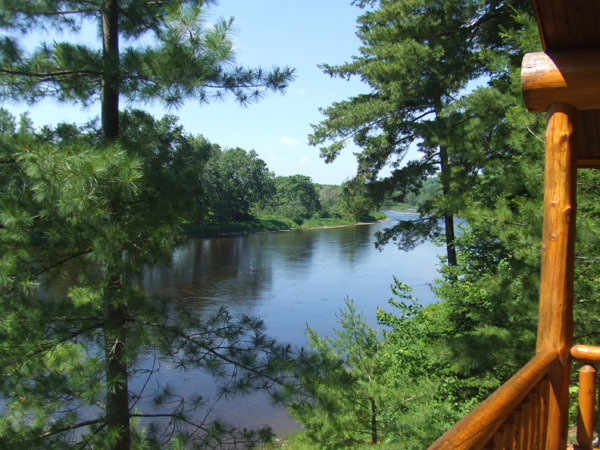 For details and pricing call us at 1-877-598-2388 or email us at Info@BettsLodge.com. 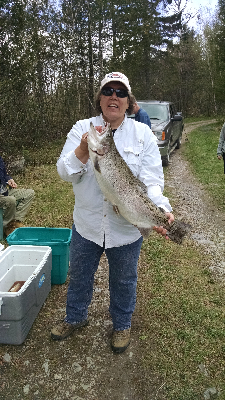 This season begins end of June and runs to October 15. 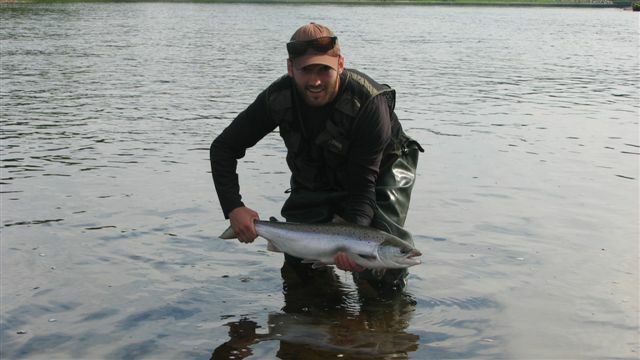 Our best fishing is usually in July when the runs of fresh salmon start coming. We have our own private pools for our guests. 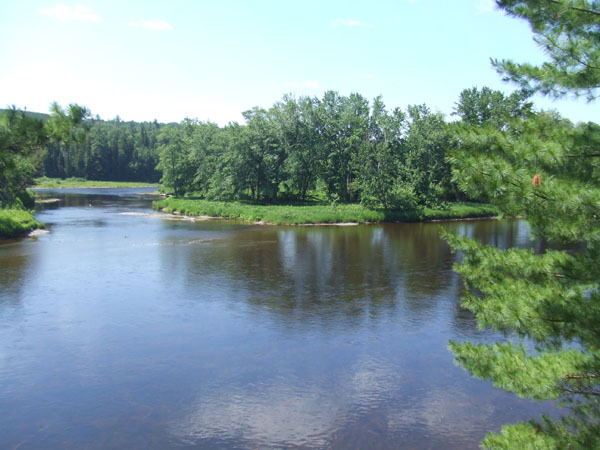 We have excellent riverside accommodations, guides and meals. 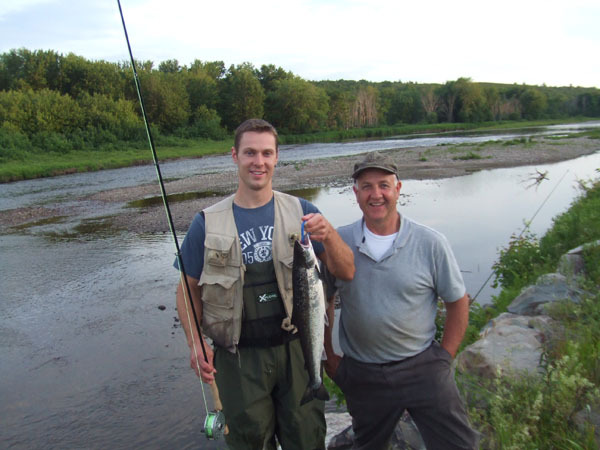 The limit for trout is five per person per day, and it is requested that trout be at least 7” for keepers. 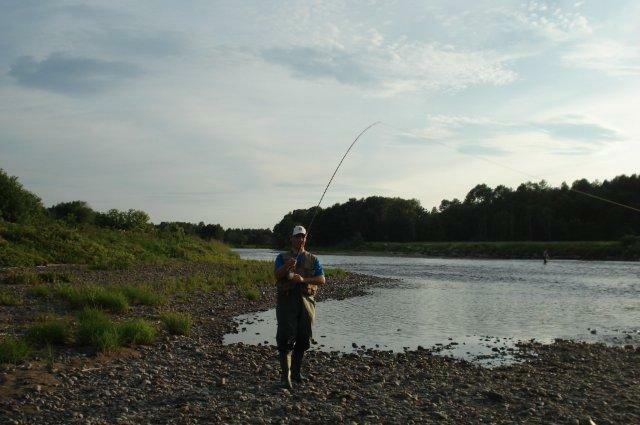 For non-residents a guide is required for trout fishing on the main river, but not for trout fishing in streams and brooks. 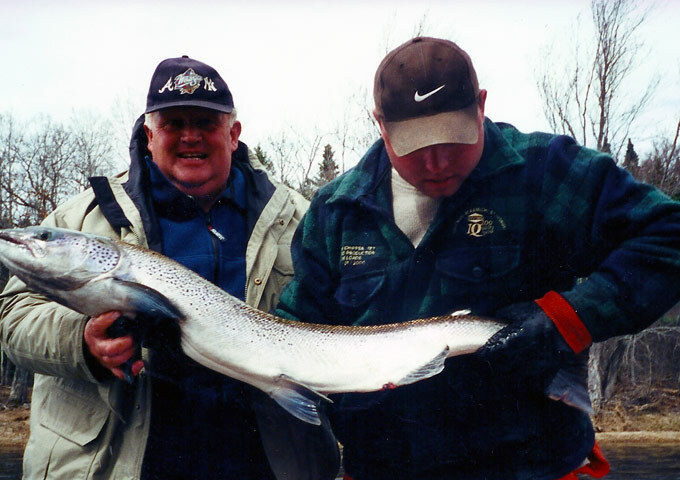 The Government of Canada has continued the order for catch-and-release only fishing only for Atlantic Salmon for 2016. 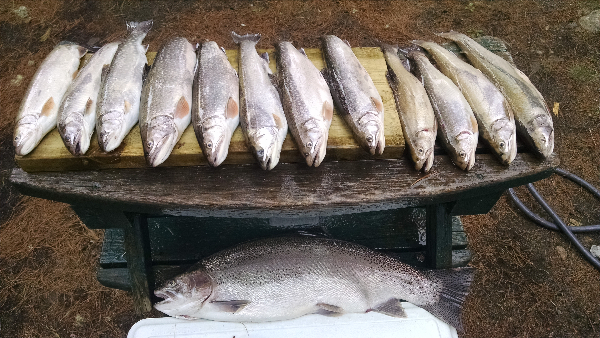 This is an interim measure to help ensure the recovery of this valuable fishery. 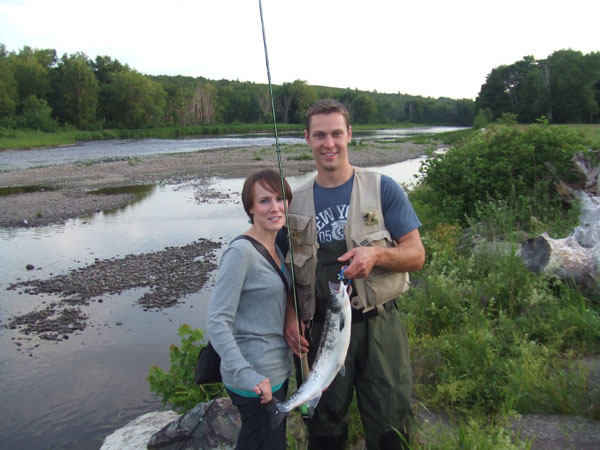 Be sure to check with us for the current regulations on keeping/tagging salmon. 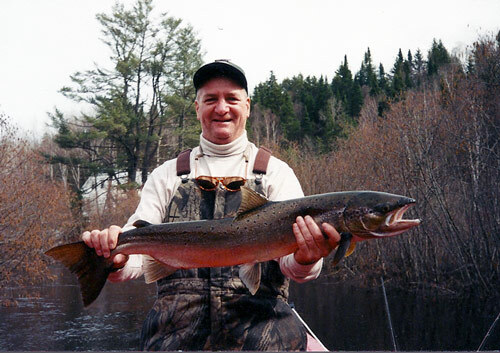 A guide is required for non-resident salmon fishing in the province of New Brunswick.